The system was doomed before the 2017 World Series of Pokeropened up in May and six months later, with the conclusion of WSOP Europe, the WSOP Player of the Year race wrapped up. Say what you will about him, but there is no denying the year Chris Ferguson put together to earn top honors. Ferguson racked up 23 total cashes, three final tables (two in $10,000 events) and capped off his run by earning his sixth bracelet. When the WSOP departed for King’s Casino in October, Ferguson held a precarious lead over John Racener and Ryan Hughes. Those two opponents were the top contenders to travel over to the Czech Republic to battle for the title. Among those who built up a solid resume and had a chance to catch Ferguson were Daniel Negreanu, Ray Henson, and Ben Yu. All three decided to not travel to chase one of the most elite titles in poker. Early in the summer, players took to social media to voice their opinions on what they viewed to be a system full of flaws. Points were awarded on a scale that rewarded players who constantly min-cashed in smaller buy-in, large field events. The only other player to win two bracelets, Nipun Java, didn’t even crack the top 100. So what does this mean for Ferguson’s year and overall accomplishment? Well, it’s hard to fully put it into context. Ferguson performed the best out of any player within the given system and no matter how bad the rules, you still must play by them in order to win. Although Ferguson’s win is out of the ordinary for a variety of circumstances, his stats are more or less in line with previous Player of the Year winners. Of the 13 previous years the POY was awarded, five of the honorees had one bracelet to their name. And among that baker’s dozen, another five had three or less final tables. The number that obviously stands out for Ferguson is his 23 cashes. The most ever prior to him was Jason Mercier in 2016, who made 11 trips to the payout cage. Twice before then, a player cashed 10 times with George Danzer and Negreanu doing so there. Based on the overwhelmingly negative player feedback, the POY system is likely going revamped for 2018 and a year like Ferguson’s is unlikely to be rewarded the same way. 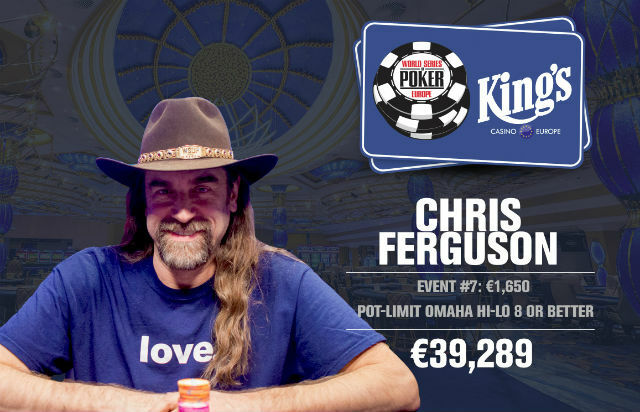 In a year of many highs and lows for the WSOP, it seems appropriate that Ferguson is the POY winner and is indirectly recognized for his accomplishment in what was an incredible year. Even with the 15 percent payout structure in place, it is unlikely that any player will match Ferguson’s magic 23 in the immediate future. For now, all that’s left is to wonder what Ferguson’s acceptance speech might entail. Regardless of what the public opinion, there is no taking away his second banner inside the Rio.